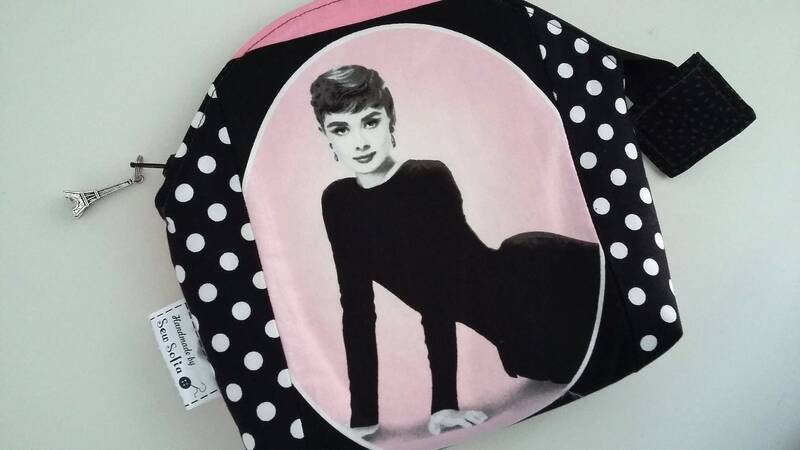 A padded curvy topped make up bag in this rare Audrey Hepburn cotton print teamed up with black and white polkadots. 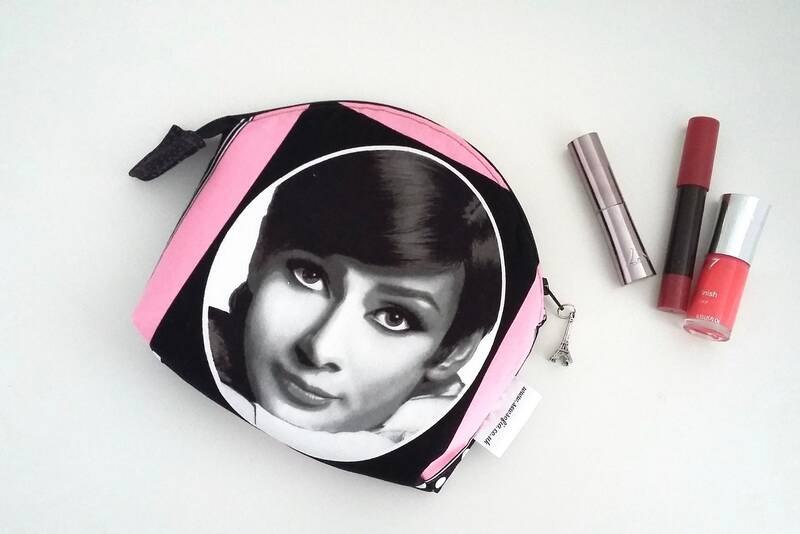 Audrey is on both sides of the bag. 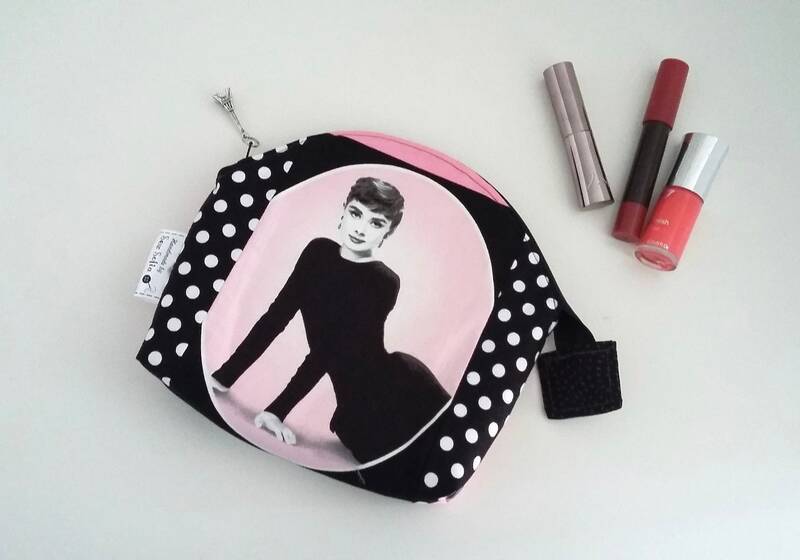 Lined in Sugar & Spice lips cotton lining, the bag closes with a high quality black YKK bag zip. 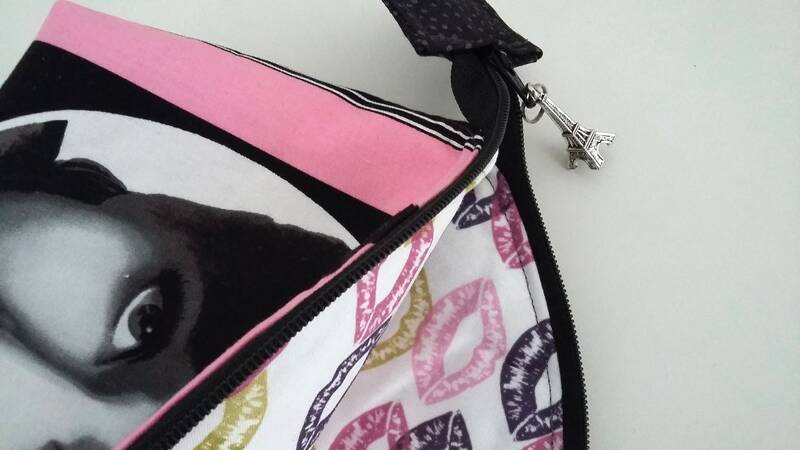 You can choose the zip pull charm of a heart with "Mother" or "Daughter"or a 3D Eiffel Tower (pictured). This bag has two layers of woven cotton interfacing and a further layer of compressed fleece for a squishy, lightly padded feel. Measures: 6" wide at the base, 8" wide at the top, 7" tall and 2" deep. One in stock, ready to post in 1-2 business days. Postage is by 2nd class with proof of postage in the UK or standard international shipping with proof of postage.